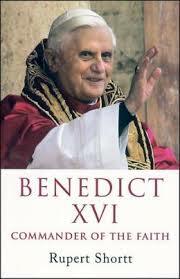 Benedict XVI – Commander of the Faith. Rupert Short. Hodder and Stoughton, London, 2005. pp 150. photos. This review was written on 23rd June, 2010. I found this book on the shelves of the RDS library in late March 2010 and I decided to read it because of the current controversy involving the Pope in relation to sexual abuse among the clergy. I found the book most interesting mainly because of the insights I received about the relationship between the Vatican and the wider Catholic communities of the world. I was struck by the conservatism of the Vatican and its opposition to the increasing liberalism of the faithful and the extraordinary situation where the great majority of Catholics, while professing the faith, ignore the precepts of the Pope on so many matters of morals and behaviour. 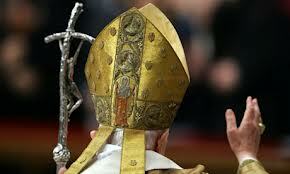 The Church leaders in Rome must surely be in denial about a laity which is so lax in terms of faith and morals. 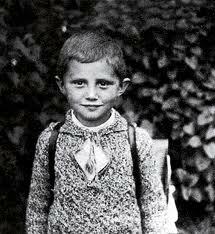 Joseph Ratzinger started his religious life in Germany and was a member of a devout German family. He and his brother Georg became priests. There is little in the book about Georg but Joseph made rapid progress in the church, particularly on the academic side. He was quite liberal in his early years but eventually, after much preferment, he was appointed to the Vatican as Prefect by Paul 11 and thus joined the powerful inner circle of the Vatican’s cabinet. He served Paul and his conservative policies faithfully and was soon to become the most influential member of the Vatican’s councils. According to the author, apart from a few rare occasions, Paul 11 and he worked hand and glove together. The impact of the book was the conflict between a conservative Vatican and the laity and many of the priests and bishops who shared liberal views which have been emerging during the last generation or two. In not one instant does the Vatican, voiced by the Pope Paul 11, Ratzinger, later Benedict XV1, and the other Vatican leaders, accept the urge of the faithful to allow marriage of priests, women priest, artificial contraception, divorce and remarriage after divorce, homosexuality, or some of the laity’s interpretation of the liturgy. 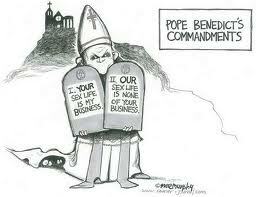 It also appears that many approaches to Christian ecumenism are blocked by the Vatican. The conservatism of the Vatican is already undoing much of Vatican 11. The Vatican’s insistence that its interpretation of the liturgy and of scripture is the only acceptable interpretation seems based on little substance, at least to those of us who adhere to the principles of a true Christian life. It is hard for a lay person to understand why Christian worship is based on the cleansing of the Temple and why it is important that the priest should face or have his back to the congregation. Why is the liturgy based on revelation? It seems to me that, bearing in mind the uncertain origin of scripture and the ease of different interpretations, the matters which cause conflict between the Vatican and the faithful may be based on mumbo jumbo rather good sense. When the Vatican is faced with a challenge its response is slow and often forms an uncompromising counter attack when it arrives. The controversy can be less evident by the long delay in responding to the challenge, and the Vatican is as dismissive about the views of the clergy and theologians as much as those of the laity. The strike against dissents became more evident from about 1990. There is clearly an increasing conflict between the Vatican and the wider church which might portend the increasing likelihood of serious conflict within the Church, where there is now a persistent muzzling of some of the church leaders within the community. It might indeed be of benefit to Christian unity and ecumenism if there were a major conflict with the Roman Catholic Church, a second Reformation. It seems that the priests and bishops are powerless in the face of rigid Vatican control because of the dire effect their open criticism can have on their careers and their livelihoods. It is not surprising therefore that our secular priests in Ireland, at least some of whom favour the abolition of celibacy, cannot express their views openly.